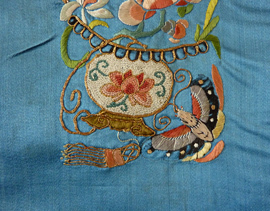 It looks like time has been very kind to this old embroidered blue satin Chinese sleeve band spied over at textile dealer Meg Andrews' site. 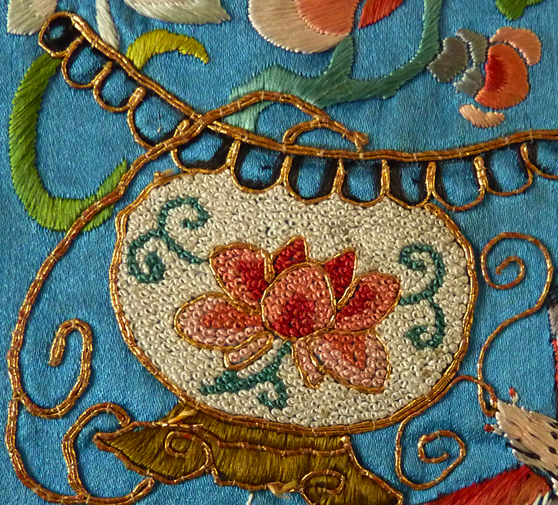 You can see the entire 3" x 18" section of 19th-century stitchwork here. (The whole rectangular piece is approximately 7" x 3.5'.) 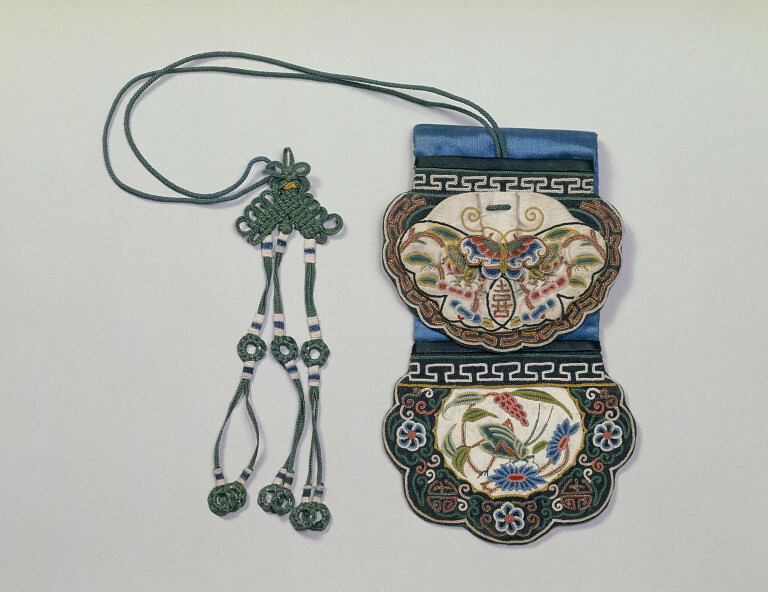 But I wanted to focus on the Peking knots. These fill the vases. The V & A has more examples of antique sleeve bands with the same style of knot along with this purse. I love your post, so educational! Thanks for sharing.